Marketing and video content now go together hand in hand, and for good reason: Research shows that video distributed through social media platforms generates 1,200 percent more shares than text and images combined and that companies using video in their marketing campaigns grow revenue nearly 50 percent faster than those that do not. 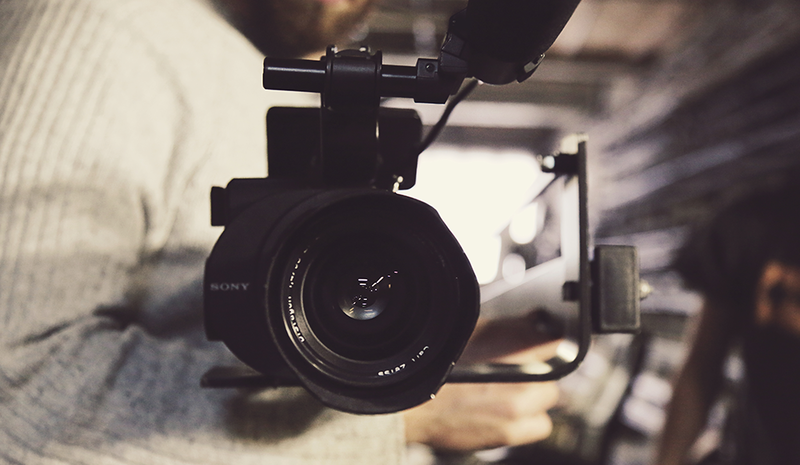 The ubiquity of video has led many companies to search for the best way to manage their content, and many have arrived at video content management systems (VCMSs). A VCMS manages content from the point of creation all the way through distribution, acting as a single point of access for a company’s video demands. The exciting part about VCMSs, however, is that these systems provide added value far beyond just your marketing department. Video content can influence the hiring process, be used to train new and existing employees, and deployed in ongoing job coaching initiatives. Anyone who has had a hand in the hiring process can attest to how tenuous the whole thing can be. Shuffling through hundreds of resumes, conducting phone calls, and scheduling conference calls around team members’ busy schedules — possibly even sinking money into flying prospective candidates in for interviews — are all time-consuming and can be financially wasteful. But we do it all because we want to get to know the candidate. We want the hire to work out. Luckily, this can be accomplished in a more fiscally responsible way. Using a VCMS, companies can use video to screen candidates on a loose schedule. The video format enhances an otherwise unclear phone screening, and conference video can essentially recreate an in-person interview, even with hundreds (or thousands) of miles of separation. You can even work around scheduling conflicts through basic recorded question and response videos: Team members can pose a question at any given time through the VCMS, and candidates can respond with their own videos within a designated time frame, allowing the interview process to unfold at an organic, accommodating pace. Your company can use your VCMS to create a web portal on your website for recruitment purposes. The portal can give interested candidates guest access to the VCMS, allowing them to scan through preapproved video content addressing things like specific job duties and company culture. The recruit can search by position, and the hiring manager can assign videos to specific open positions based on relevance. If the recruit doesn’t find the answer they’re looking for, they can submit a question themselves and receive an email notification once a response has been recorded. This entire process creates excellent synergy between candidates and the hiring team. One of the strongest advantages of a VCMS beyond marketing is the ability to create a training library. Using a VCMS, managers can facilitate the growth of a veritable digital training lab, curating training content and assigning material to new hires that is relevant to their success. Employees have the ability to scroll through material and videos, interact with the platform, search for particular references to on-the-job skills, and chat with other team members about specific content. Having constant access to the VCMS allows employees to explore the duties and relevant skill development of other internal positions at your company. Best of all, they can do this noncommittally. If there’s an open position within your organization that an employee is interested in, the hiring manager can assign specific videos in the VCMS to the employee so that they can get a better idea of what the position actually entails. Finally, job coaching with a VCMS is ideal for managers who are constantly on the go or for a team with members who work remotely. Job coaches can assign videos based on areas of needed growth, responding to employee questions and materials with constant feedback on improvement. This boosts morale among employees who otherwise may struggle to find face time with a manager. Sean Gordon is CEO of HIRENAMI. Sean's experience recruiting, hiring, training, and building teams inspired him to found HIRENAMI to take these challenges from painful, inefficient, and time-consuming to quick and effective.